It ain’t what it used to be. Truer words were never spoken of the book publishing industry, and for outsiders, it’s truly bewildering. The variety of channels and outlets has mushroomed into something huge and almost unmappable, like the parable of scientists trying to imagine an elephant based on touching disparate body parts; more appropriately, it’s like a new city that’s mushrooming without any zoning rules, with players flocking in and staking out property. I say this without any real claim of expertise. I’m a retired journalist, and researching and understanding a subject (within limits) was what I did. But self-publishing and the array of electronic channels has altered the landscape in so many ways that it’s virtually impossible to really comprehend it all. Self-publishing, in particular, has spawned a cottage industry of “facilitators” that beckon to anyone who dreams of publishing, regardless of background: Outskirts Press, CreateSpace, xlibris, Lulu, etc. They have a well-honed business model dominated by a la carte upfront fees for a steering the book into print: transforming the files into book form, establishing copyrights, editing, even offering outside reviews for an extra stipend. Just don’t ask them for much help in the way of marketing once your book is done. I’ll freely admit I used one of these services. Even after a 35-year career as a print journalist, it’s daunting to break in as a first-time novelist – at least with larger publishers. Rather than prostrate myself for who knows how long trying to land a publisher (and remembering time-honored images of “slush piles”), I opted to self-publish, but only after doing some research on the field and the players. Like it or not, self-publishing is for veteran writers as well as people who’ve never published a word and are extolling their cats. It’s a huge arena with tremendous noise, and new entrants every day. You hear stories about a lucky few writers whose self-published books were picked up by big-name publishers, and those tales are beguiling and play with your head like the aroma wafting from an extraordinary restaurant; in reality, those writers seem about as common as lottery winners. It’s when you’re book is out there, however, that things really get disconcerting. You hear about how social media is everything, so you enroll in anything you hear about. Facebook, LinkedIn and Twitter are the principal players – and I was already on all of them except Twitter – and enable access to a wide audience; Facebook and Twitter, in particular, are happy to give you added exposure for a fee at any time. Happily, it really is exposure, and they’ll even give you metrics to let you know how you’re doing. But there’s a fascinating smorgasbord of companies in something of a parallel universe I’ll call “reader communities.” Goodreads is the largest, but I’ve encountered (and usually signed onto) others such as Books Go Social, StoryFinds, and Readers in the Know. They’ll happily take your money to promote your book on their site, though it isn’t a lot of money, and they’re frequently small enough that the founders handle their own email communications. None of these were around a few years ago, and it’s just added layers of complexity (and cost) to an author’s quest for publicity. And reviews? Amazon and Goodreads seem to be the biggest outlets for self-published books, but those reviews can come from anyone (and do). NetGalley, with a corps of established reviewers, bloggers and others, is clearly a more professional source of reviews. And, not surprisingly, there are other reviewers reachable through an online list that an author can beseech for an “honest” review. I’ll confess I haven’t really tapped into that resource the way I probably could. I’m convinced I’ll never be able to sort all of this out; it would be a full-time job. And, yes, online promotion consultants constantly remind you that it is a job and takes a lot of time. Is there truly a payoff? For some, I’m sure there is. But for most self-published authors, like me, each new day can be another source of hope or frustration. We just have to believe, like Dorothy, that there’s something out there over the rainbow, and we’ll achieve some success – with enough perseverance and a few nuggets of luck. Read my review of Little Miss Sure Shot. 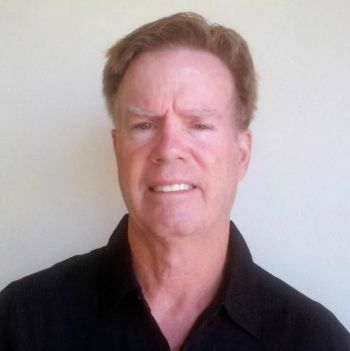 Jeffrey Marshall is a retired journalist living in Scottsdale, AZ. He spent 35 years working for newspapers and magazines in New Jersey and New York, as well as the Associated Press, and was editor-in-chief of two national business magazines. Marshall also freelanced widely, including contributions to newsletters and radio programs. Little Miss Sure Shot is his third book, following a book about community reinvestment published in 1991 and a book of collected poems, River Ice, released in 2009.